The kitchen is perhaps the most dangerous place in the house. When whipping up a meal at home, it can become a war zone of fire, knives, oil splatters, water spills and food stains! In turn, many homeowners focus on kitchen design ideas that are functional and fail to consider the aesthetics that help set the mood for cooking. 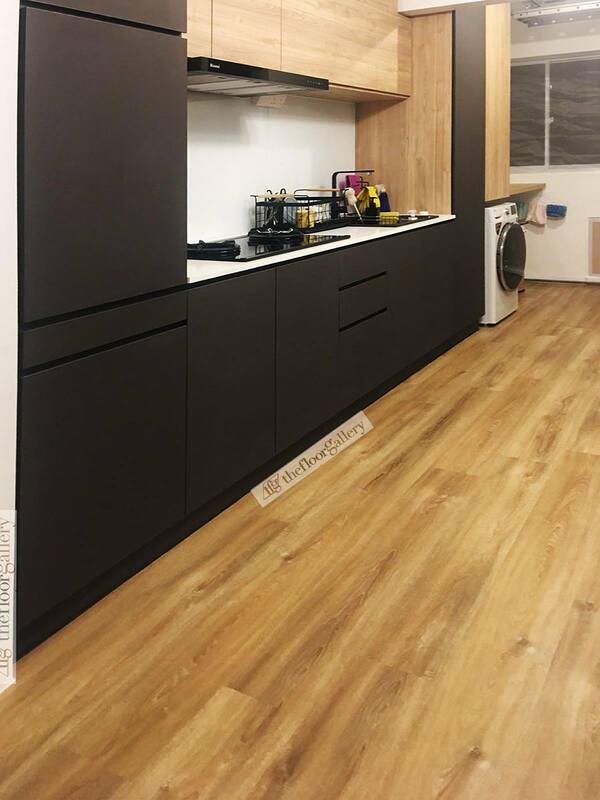 If you are looking to do some kitchen renovation, or building your kitchen from scratch, here are a couple of kitchen flooring design tips to note when choosing a flooring for a functional, yet beautiful kitchen. When exploring kitchen flooring ideas, it is important to ask: “Do I want a light or dark colour for my kitchen floor?” The colour choice will determine how you feel in the kitchen, especially in the midst of all that messy food preparation! 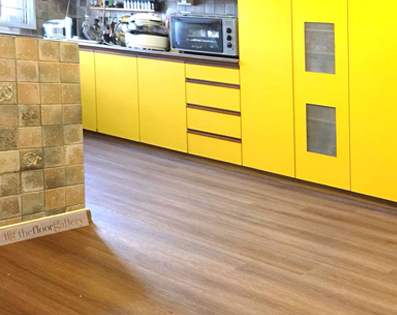 In Singapore, popular kitchen flooring colours tend to be on the lighter spectrum. Light-coloured flooring is better at hiding past accidents and scratches, and it also helps the kitchen appear airy and spacious. This is especially suitable for homeowners with small kitchens. However, while keeping things light-coloured in the kitchen makes it look larger, The Floor Gallery recommends adding some dark furniture to balance out the brightness and to avoid having it look too clinical. 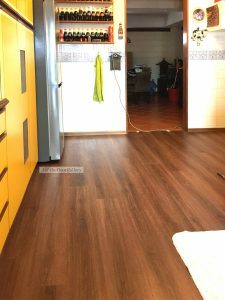 While dark-coloured kitchen flooring designs are not common locally, it is worth noting that they can hide oil and food stains better and is generally a unique choice across Singapore homes. 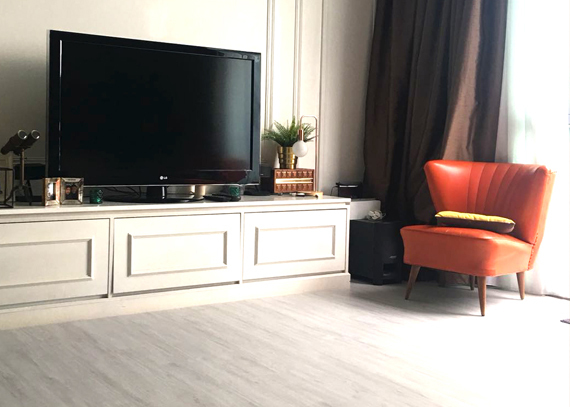 This is an option for homeowners who love being bold with their home interior design or require child-friendly kitchen flooring in their households. If you like a darker kitchen floor but worry about it looking too somber, you may add light-coloured furniture, or have the walls and ceiling painted in light colours for some contrast. 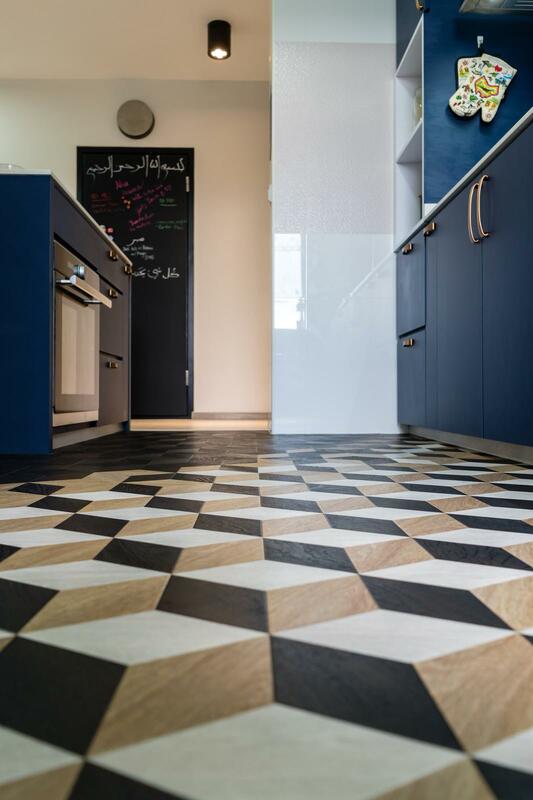 Another kitchen flooring design that can quickly enhance your home’s overall aesthetics is the use of patterned floor tiles for your kitchen. It will not only reduce visibility on dust and dirt, but it also adds character to your home. 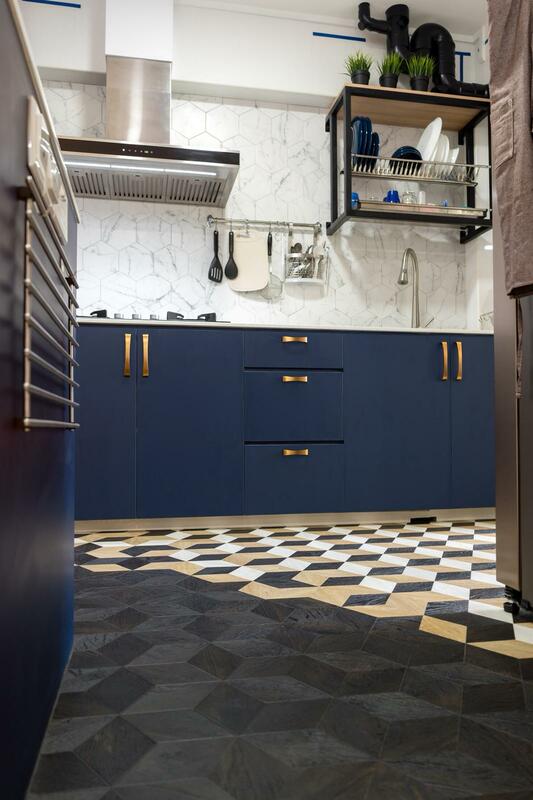 If cooking is your thing and the kitchen is your sacred creative space, kitchen floor tiles with patterned designs will easily allow you to express your style as an extension of your personality. What’s even better is that kitchen flooring is no longer just limited to your standard ceramic tiles! 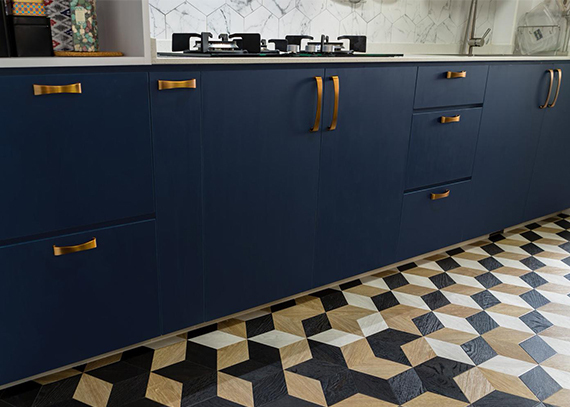 With a wide range of kitchen flooring options nowadays, the sky’s the limit when it comes to designing your dream kitchen. Looking for a suitable kitchen flooring that suits your budget and preferences? 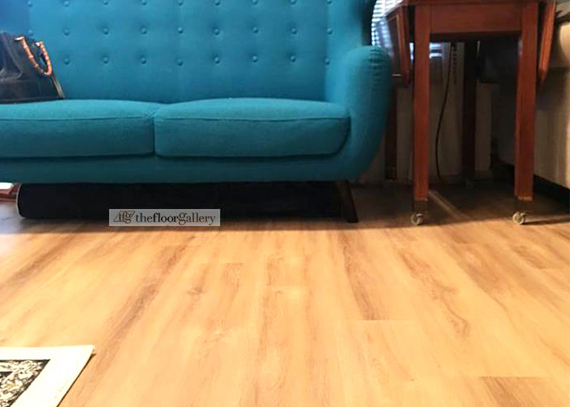 Discuss your best options with our flooring team HERE.